Jobs Description of Content & Editorial Manager - Content & Editorial Manager As the Content & Editorial Manager you refine and advance our content generation and editorial priorities, helping to plan, produce and analyse the written content the company creates. Working with the CCSR Directorate and as part of a small team, you will identify, develop, write and produce stories, infographics and other content for use in print and digital formats that tell the corporate story in a compelling, shareable way. Content & Editorial Manager role requires not only a savvy wordsmith but also someone with strong project management skills, an eye for detail and ability to work to deadlines. Build the editorial calendar and contribute to written guidelines. Serve as an exemplary writer, consistent with the company’s tone and mission. You write clean, concise, well-polished copy. Edit content produced by contributors – internal or external – prior to publication. Conceptualising editorial projects and securing agreement and budget for their development – for example long-form content projects such as e-books. Cover and report on events across the company’s operations in Indonesia for in-house and external publication. Produce content for company social media channels including LinkedIn and Twitter. Perform other duties as assigned by your supervisor or the VP, CCSR. 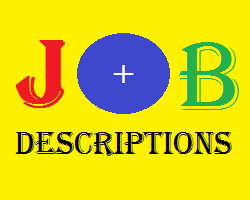 Belum ada Komentar untuk "Jobs Description of Content & Editorial Manager"